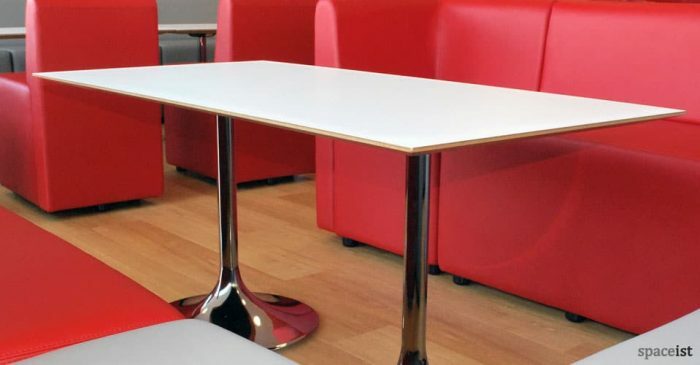 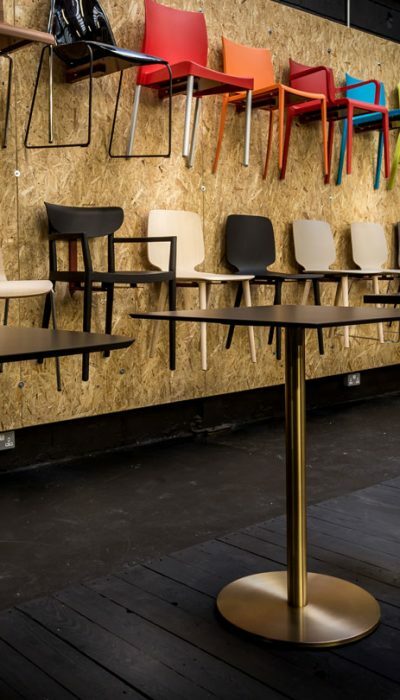 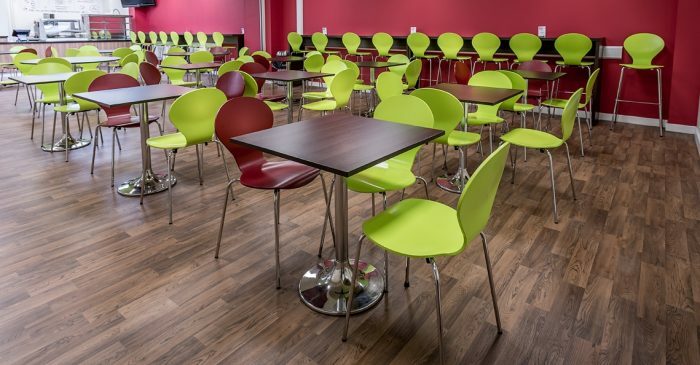 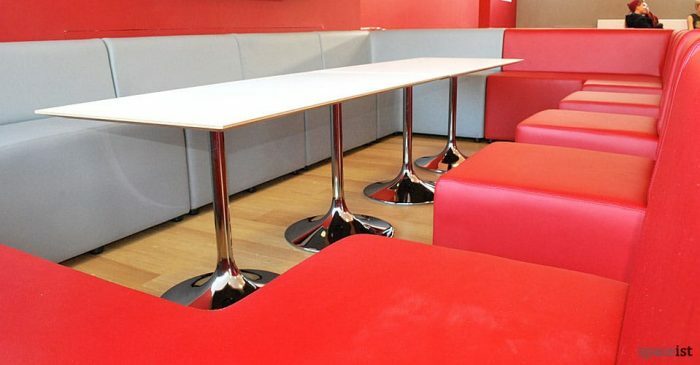 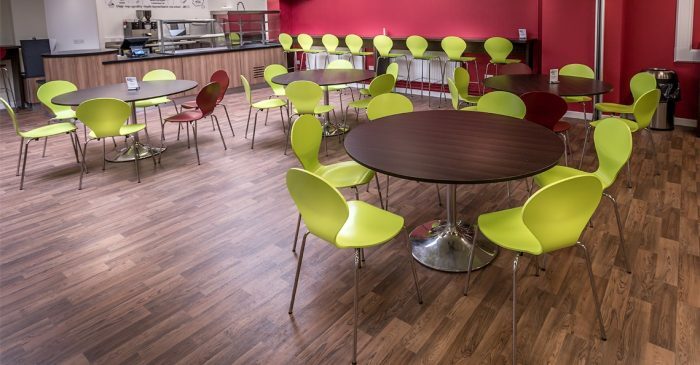 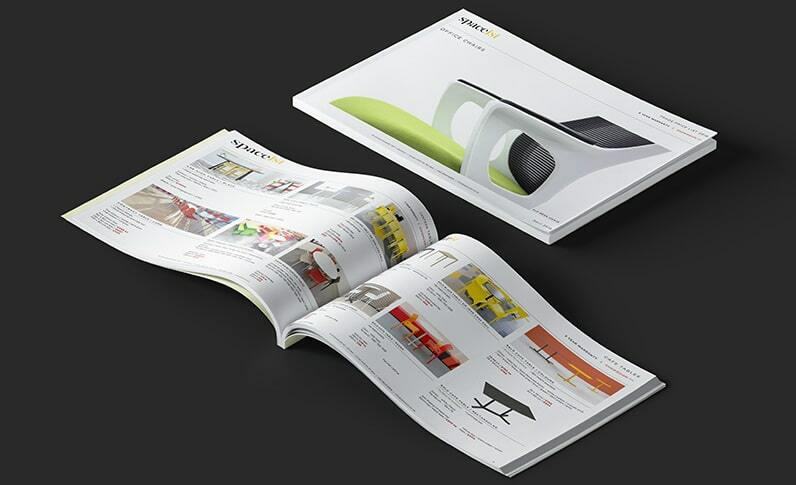 Categories: Canteen tables, Long canteen tables, Canteen furniture, Rectangle cafe tables. 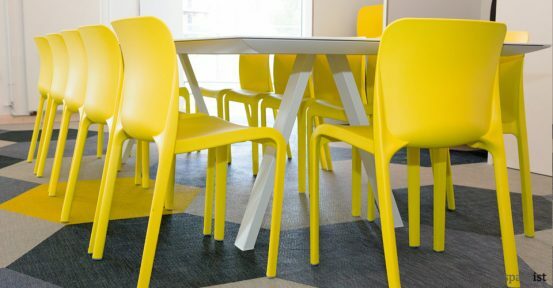 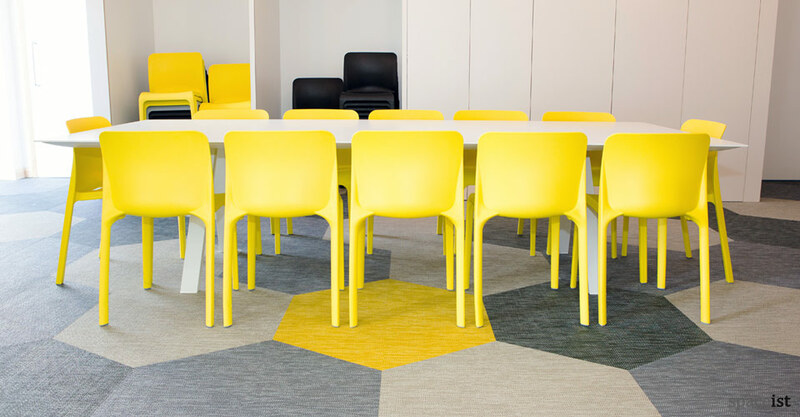 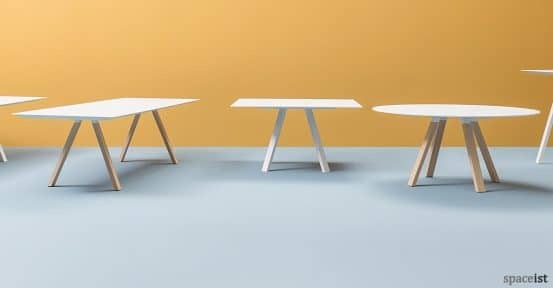 Long white canteen table shown with yellow Pop chairs. 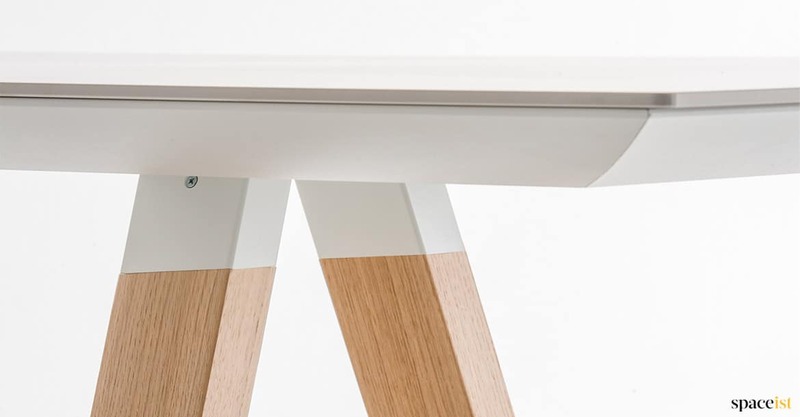 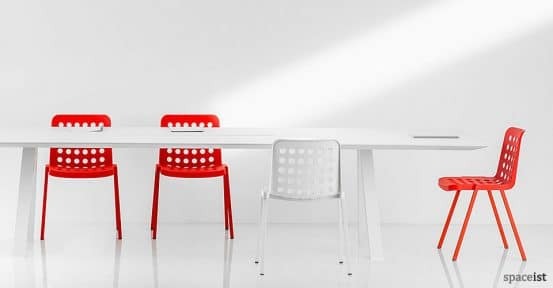 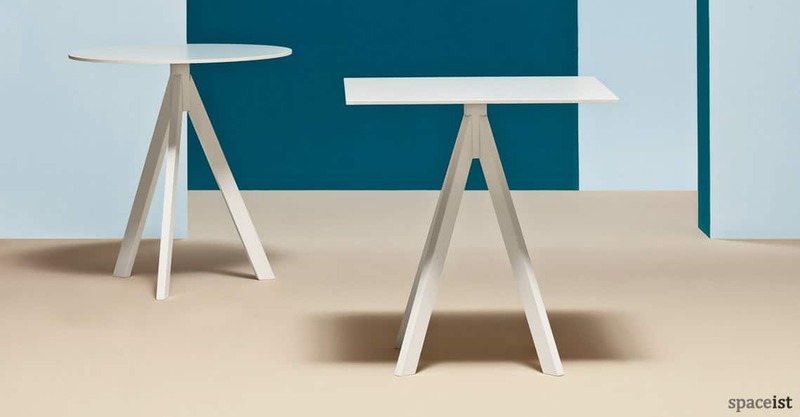 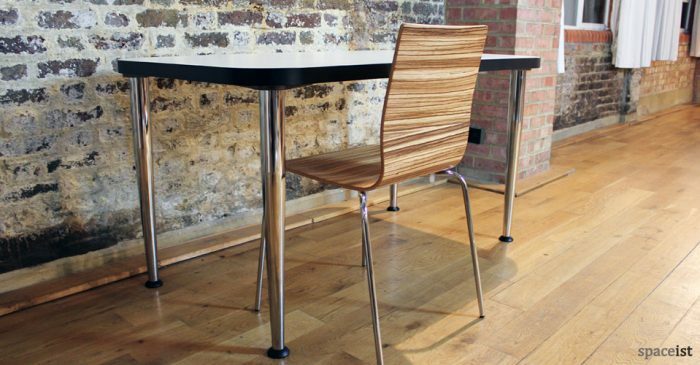 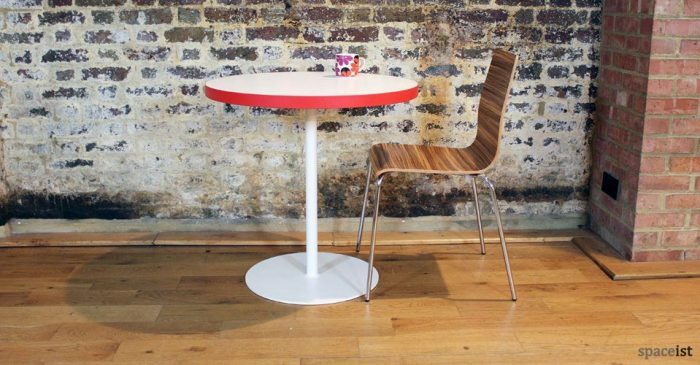 Top comes in white or black hard wearing laminate with a matching steel base or solid oak leg. Top sizes include 200, 240, 300 or 360cm.